Toy Story is back and better than ever! 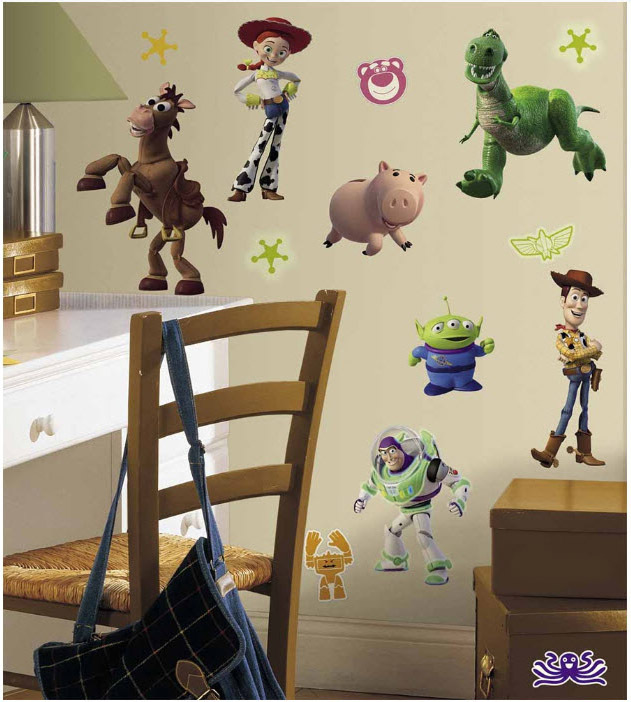 Now you can bring all the popular characters to your walls with this colorful and creative set of wall decals. Kids will love decorating with Woody and the gang, and moms will love how easy RoomMates are to apply, remove, and reposition. They're totally reusable, and some of the decals even glow in the dark! • decals range from 1.25" x 1.25" to 8.5" x 12"